You know that you've arrived at Walt Disney World when you see this entrance. We passed through this inviting sign at around 12:30pm and headed to our Disney resort (to read more about the resort, click here) to check in and hopefully unload the car. We were surprised to be able to get into our room before the check-in time which was great for us. We didn't really want to take our loaded car to the park. 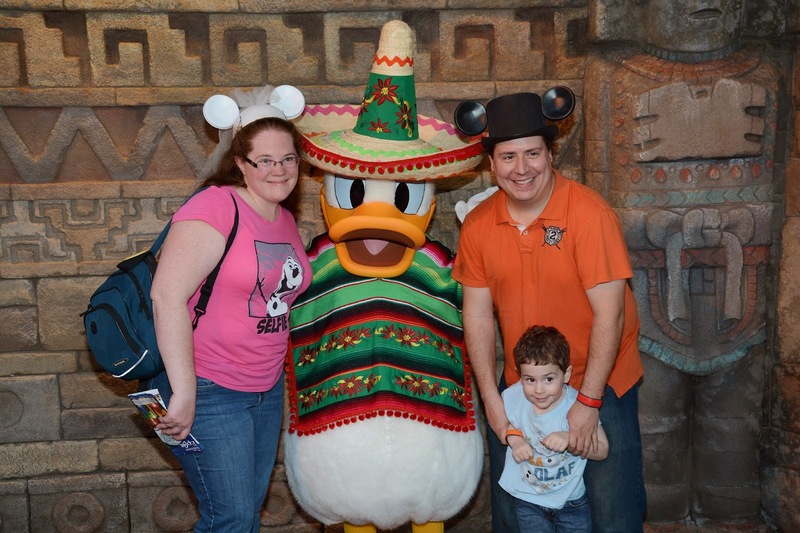 taken by a Disney photographer (we had no idea that Olaf was going to be in this picture until we logged into our Memory Maker account and looked at our pictures). By the time Jon and I got the car unpacked, it was after 3:00pm. We loaded into the Sonata and headed over to Epcot. Because of when we arrived, we hadn't really eaten since breakfast at the hotel that morning. We looked at the map and decided to head all the way to the Liberty Inn in the World Showcase for some good old American food. 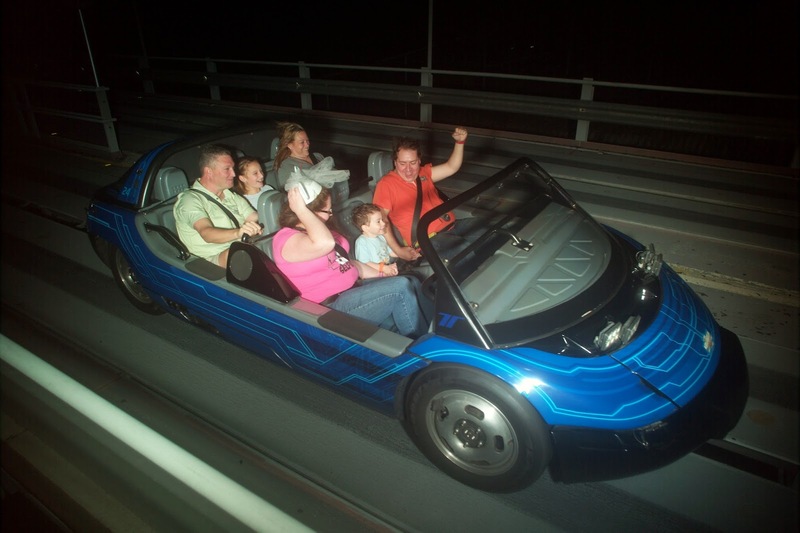 photo from our ride on Test Track. We didn't get to experience all of the attractions that Epcot has to offer. There's so much stuff to see and experience, but there just wasn't enough time to do it all. One thing that I wanted to do was buy an Epcot passport and walk around the World Showcase to get it stamped. They also have a free passport type thing for the kids. If you want to learn more about this fun activity, click here and read about The Suburban Mom's experience with it. I can't wait to go back and experience it myself. We did get to meet Donald Duck in Mexico when we were trying to find Michael a place to get some chips and salsa. All the restaurants in Mexico were sit down so, we figured there wasn't a way to get some chips and salsa to go. We also got to meet Mickey's teddy bear, Duffy. Since it was Christmas time, he was dressed like Santa. Disney out did itself when decorating the parks for Christmas. 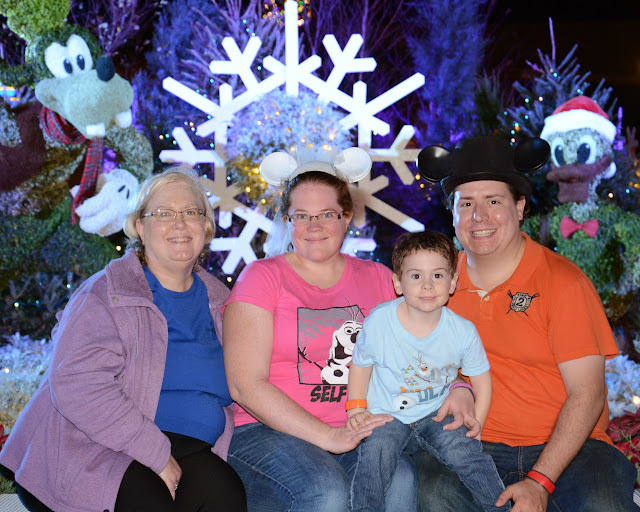 There are several awesome places at each park that you can get a great family picture taken in front of. 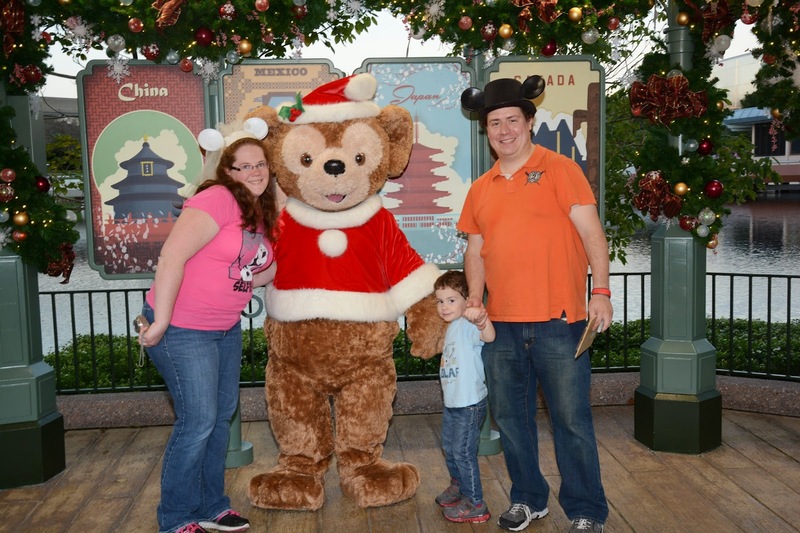 The great thing about going to Epcot at Christmas time, you get to see how all the different countries represented in the World Showcase decorate for Christmas. This was Germany and we had to get a picture of the large nutcracker since Jon is a collector of nutcrackers. Like I said earlier, I can't wait to go back and experience all the other things with Michael that we didn't get to do. 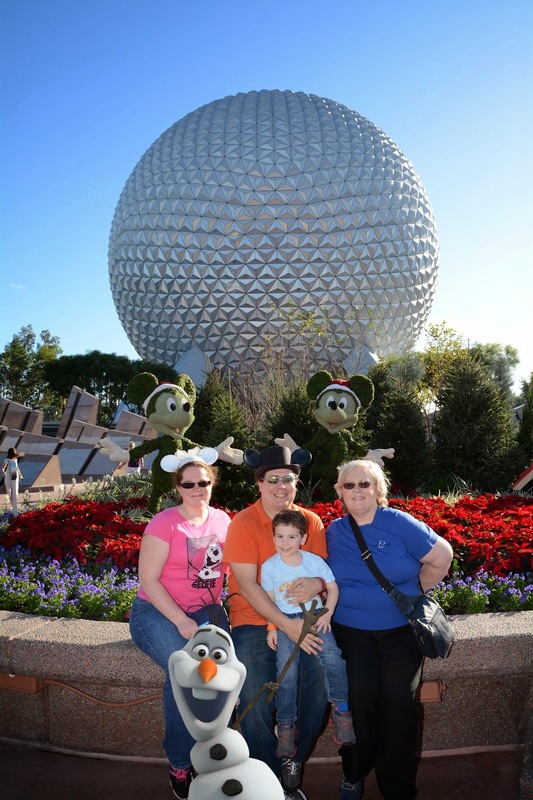 What do you love about Epcot? 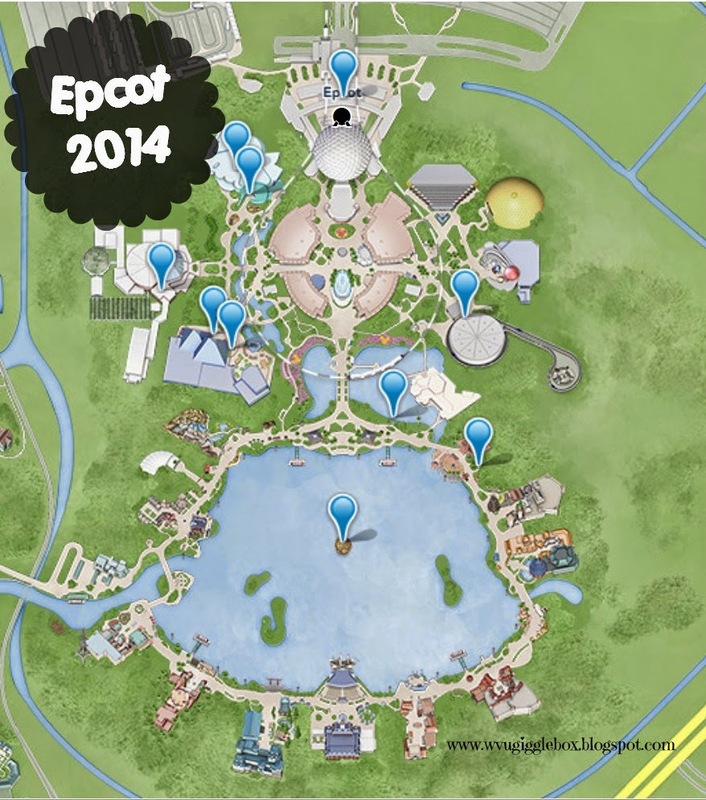 What's your must see thing when you go to Epcot?